MADE TO ORDER AS PER CUSTOMERS MEASUREMENTS. 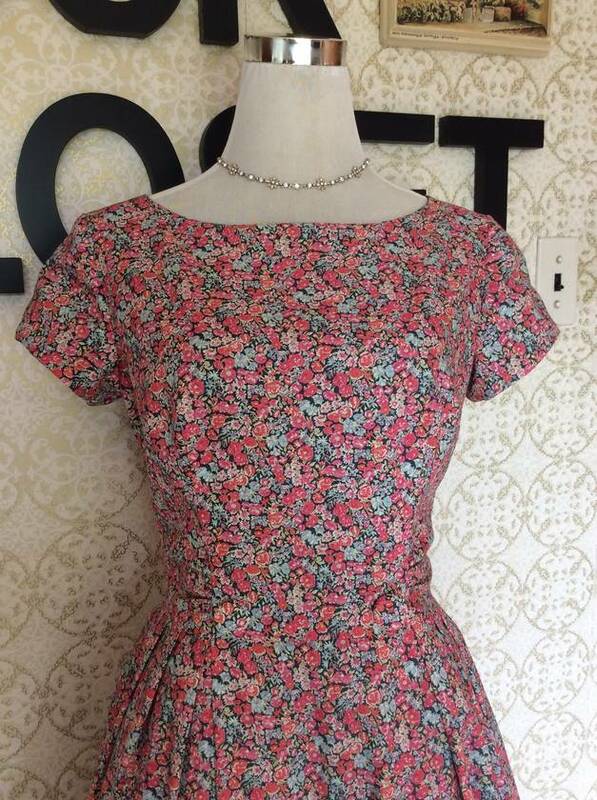 Dress up in Liberty’s Floral Delicacy. 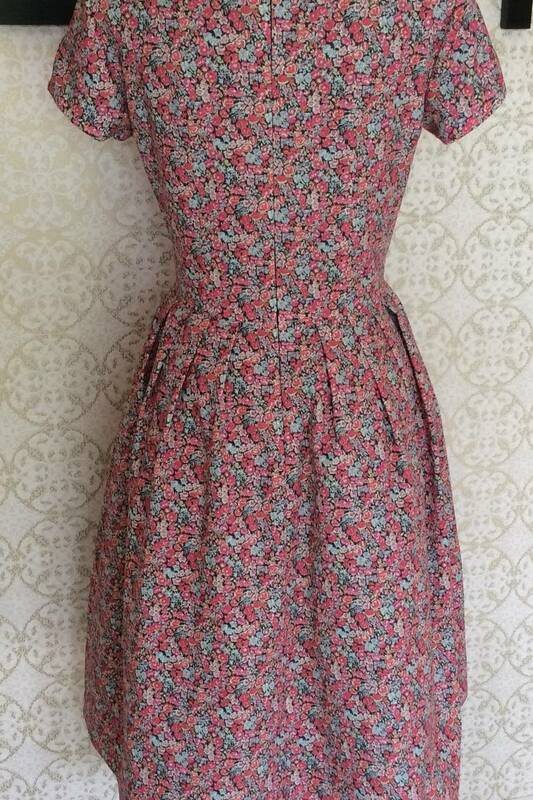 Take a step back in time with this beautiful floral tea length dress. A beautiful dart fitted bodice with small gathers. Bateau neckline. Set in sleeves. Softly pleated skirt. Hidden back zipper. Tea length hem. Self covered buttons at the waist. The very feminine dress..... perfect for a wedding, prom, bridemaide, or valentines dance. This dress is photographed with a double layered tulle petticoat to give the skirt more fullness and bounce. (Petticoat not included). Thanks so much for taking the time to look at this dress. 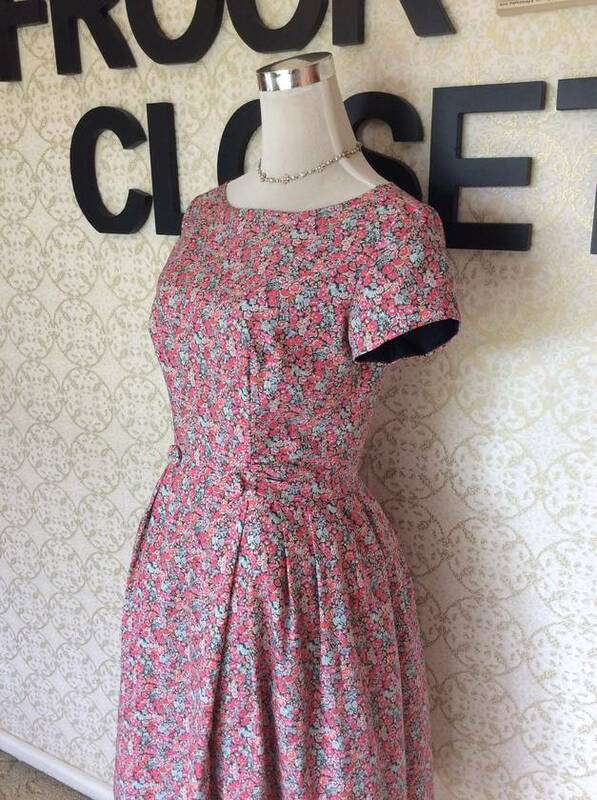 This is one of a developing collection of vintage dresses I am making from original 1950s and 60s patterns. At this stage I am limited with pattern sizes. 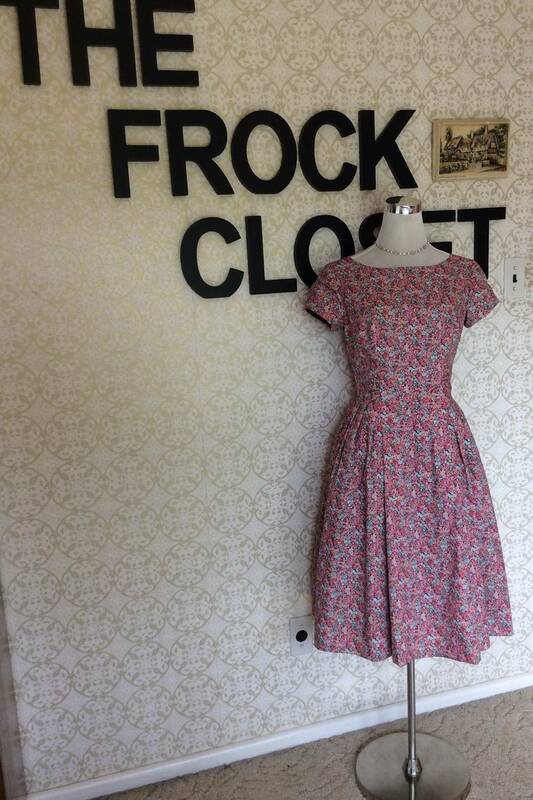 I am more than happy to make this dress for you in a fabric/colour you might prefer, eg. taffeta, cotton etc. Please message me with your questions, as price may vary depending on fabric choice. Please note, postage includes packing the garment in tissue paper. Postage is courier without signature.